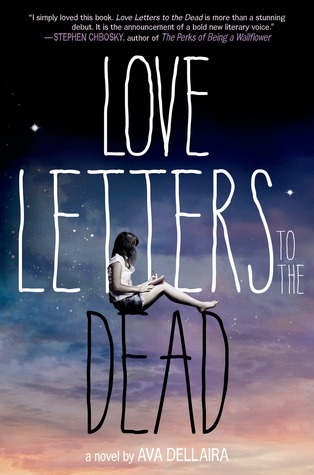 Love Letters to the Dead was a book that I thoroughly enjoyed. I was intrigued not only because of the story, but because of the way in which it was written. It all starts off because Laurel, the main character, begins to write letters as part of an English assignment. Instead of writing to a deceased family member or friend, Laurel decides to address her letters to deceased celebrities. This really captured my attention since I was familiar with many of the ones mentioned. In fact, I actually admired a lot of the people to which she wrote the letters to and it reminded me of how many great losses the world has had. Through these letters Laurel must find the way to cope and ultimately come to to terms with unfortunate events that happened in her past that led to the loss of her beloved sister May. While I did enjoy the writing and how the author decided to tell the story, I couldn't really connect with the main character. I sympathized with her but unfortunately, I could not empathize. I guess this wasn't that huge of an ordeal, but my not liking her voice was. I found Laurel to be a bit annoying at times. And yes, her situation was gravely sad and bitter, but she was so stuck in her naivety that I couldn't help but feel the smallest bit of indifference sometimes. There is a romantic aspect in this book, which involves a male love interest named Sky. Sky is your typical dark and mysterious boy. Laurel, who keeps to herself and tries to stay out of everyone's way, would never imagine Sky ever having any feelings for her. And yet it happens. But it's a bit more complicated than that. I personally, really enjoyed Sky as a character (although I think this "dark and mysterious" thing could have been taken down a notch or two), what I didn't particularly like was how easily Laurel got attached to him. I think she was too blighted by that happenings of her past and what happened to her sister that she just could not let go of the anything that held a remote relation to May. Now, the writing was actually pretty fantastic. There were a lot of metaphors and thing s like that that really took made you see the sadness from a very moving and poignant view. And I really enjoyed that because it really made the story very emotive. Despite the few obvious issues I had with the book, I couldn't stop thinking about it for days because the truth is that when you take out those little flaws, you are left with a deeply haunting story. Thanks, Carina! I agree, the cover is GORGEOUS! Honestly, the whole concept is very much intriguing and it shaped the story really well. I personally could not connect to the main character, but then again, that's just me. 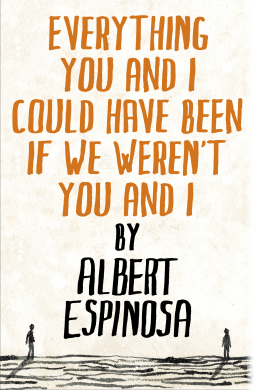 You should definitely give it a try because it's a good book overall. I hope you end up loving it! War of Rings Hack Diamonds online generator created to make the game easier for you.